Our military law practice | Jon Katz, P.C. 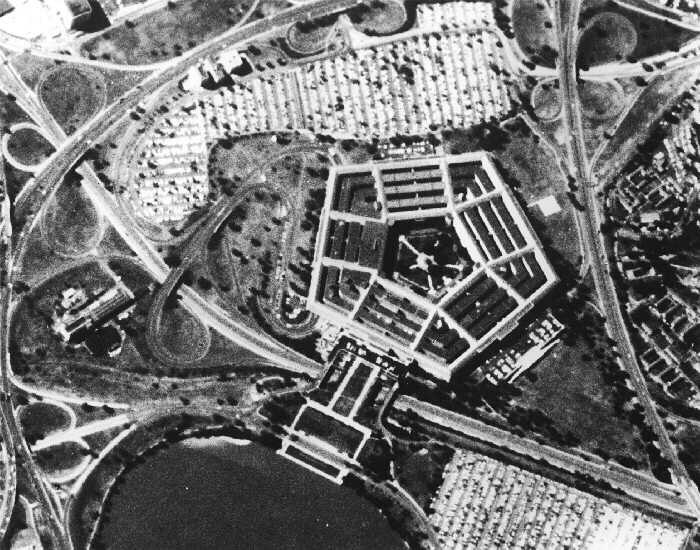 Pentagon (From National Reconnaissance Office’s website). Washingtonian magazine includes me in its most recent listing of the area’s top military lawyers. My litigation work involving the military has involved defending military members in criminal court (including addressing the landmines that a conviction might have on their security clearances and careers), defending civilians arrested on military grounds, suing the military, and defending critics of the military. The common thread that leads me to do such work is my commitment to defending all people accused of crimes and defending the Constitution. Lawyers dealing with military issues come from a variety of viewpoints, including such birds of a feather as a former fellow member of the local ACLU board of directors who is a dean among military lawyers, and a fellow Washington-area lawyer who for many more years than I has fought for civil rights causes. My clients in the military area are quite varied, including active and retired military members who are fully pro-military, people with Constitutional lawsuits against the military whether or not they are pro-military, and those opposing the military outright. In one of our most recent bits of military news, for over three years, I have been litigating with Atlanta lawyer David Bederman to overturn the Uniformed Services Former Spouses’ Protection Act (USFSPA). Last week, David filed a superb certiorari petition seeking Supreme Court review of this law that permits divorce courts to treat veterans’ retired pay as divisible marital property. This litigation involves numerous critical Constitutional issues. The case is Adkins, et al. v. Gates, U.S. Supreme Court cert. petition No. 06-1132.